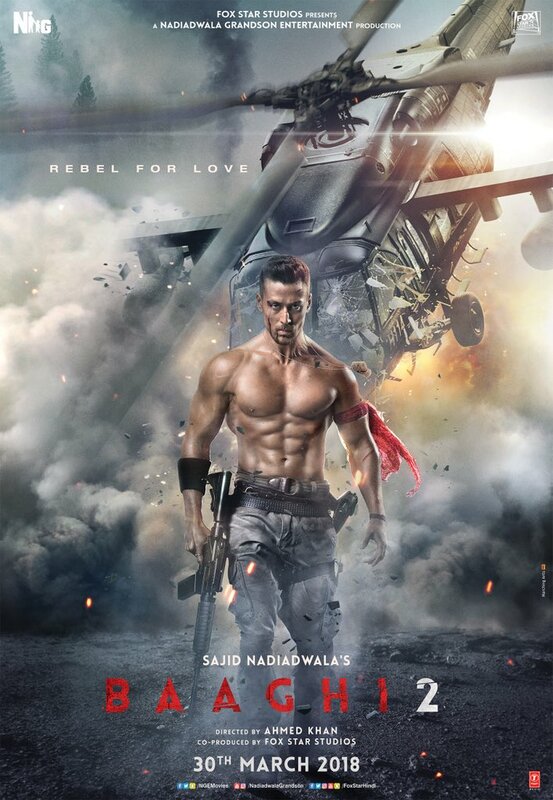 Ranveer Pratap Singh also known as Ronnie ( Tiger Shroff ) is a captain in the Indian army . The opening shots establish his nationalistic credentials by showing him tying a Kashmiri separatist to the front of his jeep and driving through a crowd of stone pelters just like the Indian army did recently . But soon it is matters of the heart that attract his attention more . His ex girlfriend Neha ( Disha Patani ) has called him to help her search for her kidnapped daughter , remembering him after 4 years . As Ronnie remembers their romance , he gets emotional due to nostalgia . Neha had married another guy ( Shekhar ) because it was the last wish of her dying father , but it was only her father's deteriorating condition that had brought her back to him from her planned elopement and marriage with Ronnie . Ronnie had promised to be for her whenever she needed him , and he takes leave to go to Goa to help Neha get back her daughter . But as the movie progresses , Ronnie cannot find evidence of the existence of Neha's daughter . In fact the opinion of several people whom he meets is that the daughter never existed but rather she is a figment of Neha's imagination . That Neha is suffering from the after effects of an incident where her car was hijacked by goons who beat her as she tried to fight back , and she is imagining the existence of an unborn daughter after waking up from unconsciousness brought about by the beating . So what is the truth of the matter ? As Ronnie confronts Neha with what he has been hearing and this leads to catastrophic consequences , the baaghi ( rebel ) within him is unleashed . And this leads to some action sequences deep within the heart of the villain's lair in the dense jungle . Ronnie dons a Rambo like avtar and unleashes a storm of bullets firing machine guns from both hands . And deals with armed helicopters and hundreds of armed men alone by using his martial arts skills . So do we have another Sylvester Stallone in the making ? No we don't . The action sequences are good for some on the spot entertainment but lack the punch and the raw emotion that made the Rambo series such a big hit . Disha Patani looks good and so delicate and lovely . Randeep Hooda plays a Punjabi cop who dons the looks of a hippie . Manoj Bajpai plays the local Goa cop . Prateik Babbar plays a drug addict . Darshan Kumar plays Neha's husband Shekhar . Deepak Dobriyal plays the mandatory 'good muslim' who helps Ronnie and gives up his life in doing so . Acting by all these people is okay but no one is really good . The songs are better barring the 'ek do teen' number of which Jacqueline Fernandez tries to ape the old dance by Madhuri Dixit on the same number but fails . Background music is good . Photography and colours are decent . The director does manage to give us an emotional climax however and it is the emotion that triumphs over the action , thus ending the movie on a high and improving it's rating to decent rating . Verdict---Two and a half stars out of five . Sounds good. I had to look up Docji's review of Baaghi 1 to see what it was all about. I generally don't do movie recommendations. But Baaghi 2 is probably the best action flick in the last decade or so . Reviews have been unfair, and the movie won't last too long in theaters. Watch it today if possible. I watched it thrice this weekend. Bollywood is gushing over Baghi 2 action sequences. But that is no surprise. You cannot watch a movie based on a filmwallah recommendation. They will make you watch all movies. Last edited by ashdoc; April 2nd, 2018 at 01:18 AM. The name sounds like "Bhaagi tu"
That definitely makes it worth seeing. Do i have to see Baaghi 1 to follow it? No .not at all . the film is a hit at the box office . Glad to hear that flop Jackie Shroff - flop mostly after Ram Lakhan - has a son who is seeing success. And remember why Ajay Devgun was a super hit in his first film? "Uuuh Shaaab Yeh humra Jaisa Dikhta hai!! Ekdum Gurkha!!!" This is before Friday evening spirits kick in. Doesn’t Tiger shroff look more like Danny Denzongpa than Jackie Shroff? Was it before she married Jackie?